Welcome to Melinda's Music of Orange County, New York! Melinda's Music provides Music Therapy and Music Educational Programs throughout Orange County, New York, as well as its surrounding Communities. What Makes Melinda's Music So Unique? It's laughter, love, and caring within the context of the music. Our groups have been described as ..."One big musical hug!" What is the Difference between Music Therapy and Music Education? Most people already know that Music Education assists an individual or group regarding learning how to play an instrument or how to read music. Music Therapy is the use of music, by a licensed individual with thousands of hours of supervised clinical training. Ms. Burgard holds the designation of LCAT (NYS Licensed Creative Arts Therapist (Psychotherapist). Melinda uses her clinical skills to obtain non-musical goals, such as increasing Socialization Skills, Focus, Speech, Fine and Gross Motor Skills, Reminiscence, Emotional Expression, Peacefulness, etc. 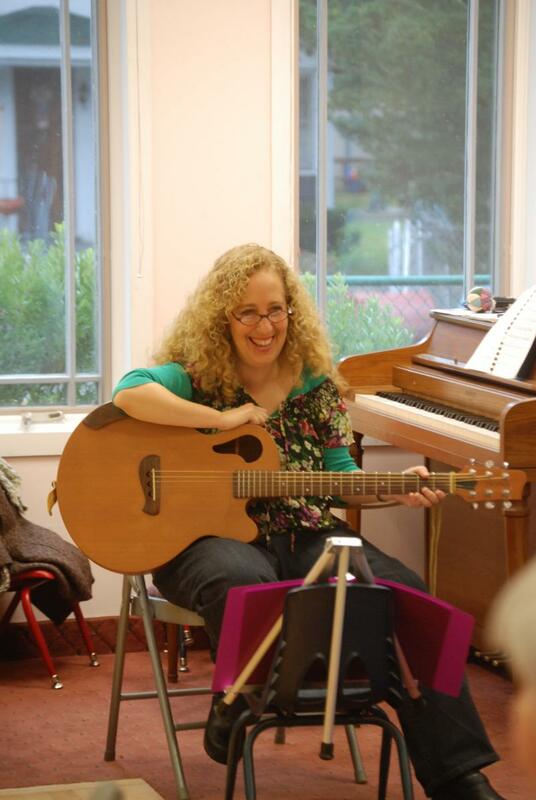 She obtained her Master's Degree in Music Therapy from NYU in 1994.